The Northern Illinois women’s tennis team will be back on the courts today to compete in the UIC Invitational, hosted by University of Illinois-Chicago. The invite consists of UIC, NIU and Chicago State playing a one-day tournament with two draws, one for singles and one for doubles. The invite will be the last chance for head coach Ryun Ferrell’s squad to get some competitive matches in before the ITA Regionals tournament next month. “I just want to see them take that next step and continue to be competitive and play smart,” Ferrell said. “We looked pretty smart on Sunday and I just want to see more of that this weekend. At the UNI Invite last weekend, the Huskies turned in a strong showing, highlighted by the play of freshman Haley Dekkinga and sophomore Kelly Phillips. Dekkinga picked a pair of wins in the singles “Gold” flight, both being three-set decisions over Jaime Mera of Missouri, while Phillips notched two victories on the final day of play in the “Silver” flight consolation bracket. The two also teamed up in the doubles “Gold” flight, where they added two more wins the Huskies’ weekend total. In all, NIU returned home with 10 wins, six in singles and four in doubles. 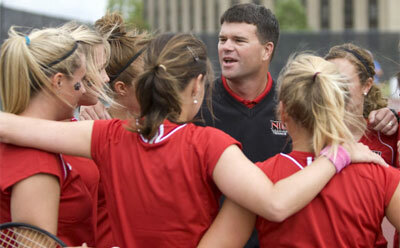 For more information on NIU women’s tennis and Huskie athletics, visit www.niuhuskies.com.